By default, flooring is one of the first things that must be considered and installed when you are building a new home or remodeling an older one. It's a messy job, but somebody's got to do it. That somebody should not be you. Removing old flooring and installing new is far from easy, but My Handyman OnDemand will make sure you get professional and quality handyman services. 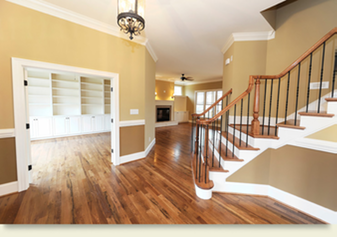 If you're in the market for new flooring, you have a variety of options - hardwood, laminate, tile, and so on. The benefit of letting a handyman install the flooring is that you don't have to worry about bumps or any other signs of poor installations showing up later on. When you choose to get new flooring, you're actually getting extra comfort in addition to something nice to look at. The reason for this is because flooring is one of the first things noticed in a particular room. If it looks good, then it also bestows a feeling of safety, comfort, and tranquility. It is difficult to fathom the level of skill and patience required to install new flooring until you see if for yourself. Don't make a rookie mistake by attempting to do it yourself because you will certainly regret it. Let our trained technicians do all the work for you, as well as the clean up!